Increased from the first quarter in 2016, international buyers continue to account for almost two-thirds of surveyed Sydney sales in the second quarter to June, according property analyst Urbis. "The survey included a higher proportion of developers with strong international channels," Urbis Associate Director of Property Economics and Research Alex Stuart said. 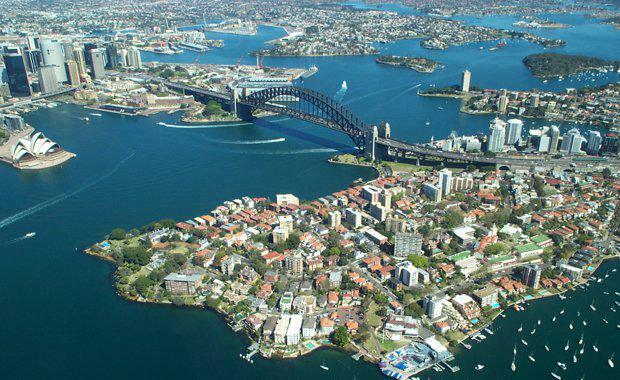 “Nevertheless, it highlights the continued demand from Asian buyers for Sydney apartments. "Local owner-occupiers continue to account for less than 20 per cent,” he added. Despite the tightening of lending regulations to international investors in the last six months, Sydney is still seen as an attractive location benefiting from infrastructure investment and position as a global city. The Urbis Sydney Apartment Essentials continues to grow with the June quarter survey recording the highest participation to date. Urbis surveyed almost 40 projects actively selling in the June quarter and recorded data on 1,073 sales. New launches declined by around 19 per cent in the quarter, though activity is projected to increase with over 20 projects launching in the September quarter, accounting for around 4,000 units. Two-bedroom, two-bathroom apartments continue to be the most popular apartment type, which reflects affordability constraints in the Sydney housing market and buyers looking at apartment living as an alternative. Two bedroom apartments are also becoming a more accepted housing choice for young families. Apartments recorded a weighted average sale price of over $1,150,000, which represented an increase of over $200,000 from the previous quarter. However, Urbis says it should be noted that this number was impacted by the successful sale of almost 400 apartments at Darling Square by Lendlease in the Sydney Central precinct. Urbis also tracks future supply, with 257 projects monitored. This includes around 33,000 apartments in the application and approval stage that are yet to start presales or construction. This was steady from the March quarter 2016. 1,073 sales were recorded in the June quarter – an increase from 790 in the March quarter. The weighted average sales price for the June quarter was $1,150,266. This was an increase of $212,861 since the March quarter. The weighted average sales price has been trending upwards over the last 12 months. Higher proportion of two-bedroom, two-bathroom apartments selling and higher levels of one-bedroom stock selling with no car spaces. There were 19 per cent less apartments launched to the market compared to the previous quarter.